ImageMagick has a command-line tool called Mogrify that’s quite powerful. Mogrify will resize an image, blur, crop, despeckle, dither, draw on, flip, join, re-sample, and much more. This tool is similiar to convert except that the original image file is overwritten (unless you change the file suffix with the -format option) with any changes you request. I recommend to create backups of your images. Mogrify will also convert all .jpg files to the .png format found in the current directory in this example. These are just two examples of what Mogrify can do. There are dozens of effects that you can do with Mogrify. Just view Mogrify’s list of commands. ImageMagick is available for the PC, Mac and Linux desktops. 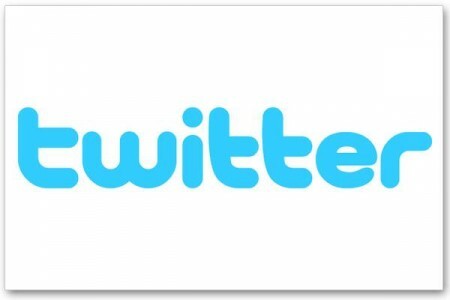 Twitter announced today that it is adding HTTPS to their service to make it more secure. Twitter users should be able to go their user’s setting and choose a box to always use HTTPS. Twitter says HTTPS is recommended for users who use public Wi-Fi where network connections are less secure. HTTPS is a combination of HTML and SSL/TLS protocols. HTTPS are often used for payment and banking transactions on the web. HTTPS usually displays a locked key on some browsers, or a modified or certified address bar in some browsers. Twitter hopes to have HTTPS as the standard setting in the future. AT&T plans to impose limits on its DSL and Uverse services. It will cap 150GB on its DSL service and 250GB for Uverse. This is based on this morning’s article by Ars Technica. This affects me and family. We are big Netflix users. AT&T says the move will affect “less than 2 percent” of customers and that it is necessary to address congestion in the network. Claims of congestion are notoriously hard to validate from outside the network, but industry analyst Dave Burstein does extensive writing about and consulting for various ISPs; he fired off a tweet this morning saying that AT&T “lied” to the Wall Street Journal. “Congestion is minimal,” Burstein said. Capping is now a reality. It comes at no surprise that AT&T wants more money. It posted $20 billion of net income last year, although more than half came from its wireless service. AT&T will cap use of its DSL, Uverse and wireless services. Comcast already caps its customers at 250GB per month. What’s even more interesting is, AT&T’s Uverse IPTV and VOIP usage is exempted from the cap. That doesn’t look fair to me. Companies and services like Vonage, YouTube, Netflix, Hulu, considered as over-the-top providers are getting squeezed by AT&T and Comcast.